Pairing Baked haddock, lobster rolls, crab cakes, Caprese Salad, or our Local Catch. 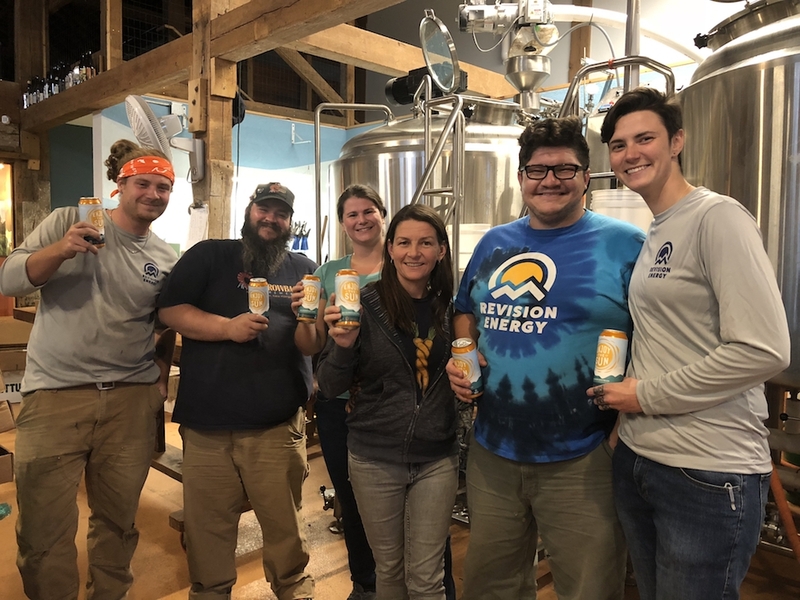 Earlier this year, our solar company, ReVision Energy, approached us about collaborating on a beer together. The idea immediately appealed to us. After all, not only do we love our solar panels and the kind and capable people at this company, but we also loved the idea of what a solar-inspired beer could be: bright, lemony, easy drinking, sun-colored, and low enough in alcohol where it could be enjoyed outdoors in the sun. Really, the ultimate embodiment of Living Free here in NH. To make it even better, we decided to create a beer where a portion of the proceeds would go to a worthy charity that shared the same values as us. 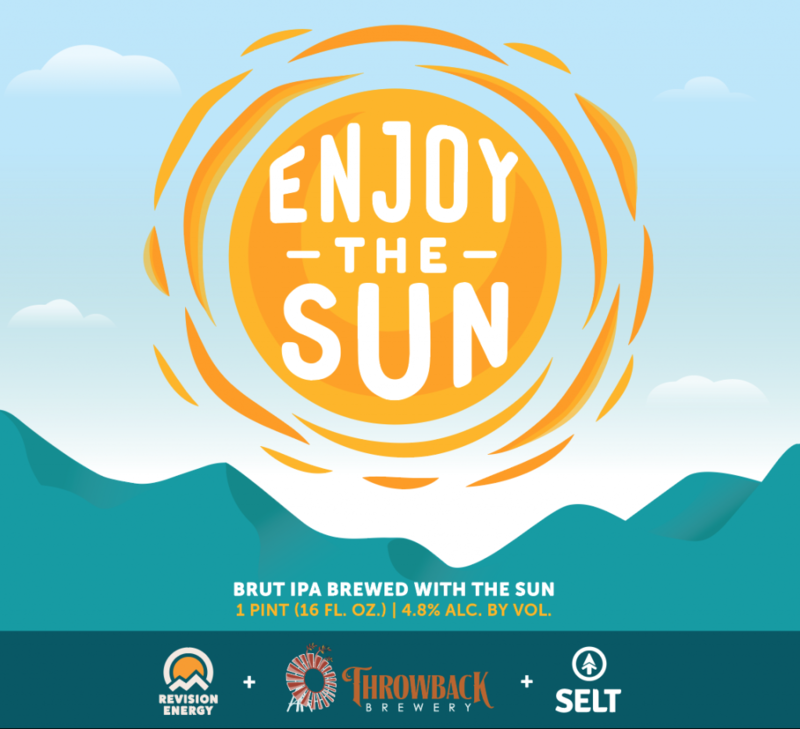 To that end, we are extremely excited to announce the upcoming release of Enjoy The Sun, a crisp and quaffable Brut IPA with a light body & mouthfeel enhanced by delicate flavors & aromas of peach, sweet orange, and lemon citrus. And, best of all, ten percent of the revenue from this beer will be donated to Southeast Land Trust (SELT), New Hampshire’s land trust. For those of you wondering, ‘what the heck is a Brut IPA?’, it’s a brand new style of beer created in California, some say in response to the New England IPA craze. While New England IPAs are often super hazy & juicy with a heavier body & mouthfeel and an above average sweetness, Brut IPAs are dry, effervescent, and lighter bodied, with a prominent hop aroma, but with little bitterness. Brut IPAs are the beer equivalent of a dry, lower alcohol champagne mimosa – they are extremely refreshing and drinkable, and the hops deliver flavor and aroma, but without any palette crushing bitterness. 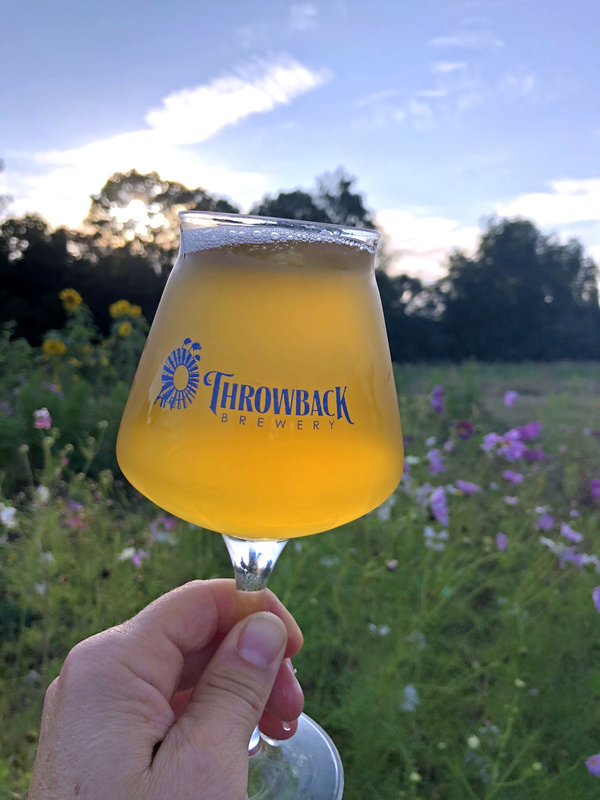 – Taste & Mouthfeel: Enjoy The Sun is crisp & quaffable with a light body and mouthfeel enhanced by delicate flavors of spicy peach, sweet orange, and lemon citrus. There is an almost mimosa-like flavor and mouthfeel to this beer. Some say it might be akin to drinking a dry, low alcohol champagne. – Pairing: This beer is on the delicate side, so it should be paired with lighter, less bold foods so as to not overpower the flavor of the beer. For example, the light citrusy notes in the beer would go perfectly with seafood such as baked haddock, lobster rolls, and crab cakes. If drinking this beer at Throwback, we recommend pairing it with a Caprese Salad or our Local Catch. At home, pair it with salads or drink it on its own while enjoying the last strong rays of sun at your favorite lake, campsite, or backyard. – Serving glass: We’ll be serving this beer in a 16-oz tulip glass here at the Brewery, which should enhance this beer’s fruity aromatics. – Stats – ABV 4.8% and close to 0 IBU. We’ll be canning this beer- here’s what the label looks like!